Who are they? Is there a secret recipe behind their success? 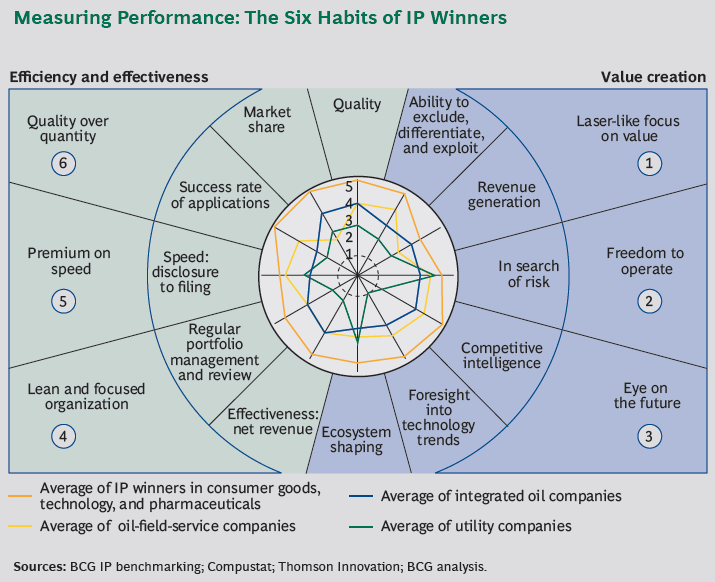 What drives their innovation strength? So, how does one identify companies who truly deserve the title? Even more importantly is there a common ground behind how they achieve this status? 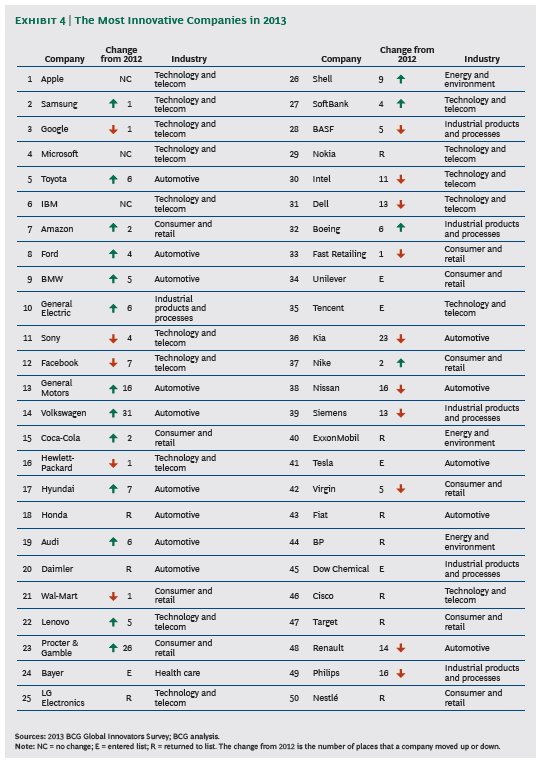 The Boston Consulting Group (BCG) has tried to tackle these questions and come up with answers as part of their “The Most_Innovative_Companies_in 2013_Lessons From the Leaders” report. Without further delay here is the list for 2013. Nothing earth shattering here but what makes for a very interesting read is the analysis behind each one of the aforementioned sources of innovation. For example let’s take a deeper look at Leveraging IP. If you like what you see and don’t want to read the whole report try the Interactive Guide and view, among others, the history of the list since 2005 and how the participants fared in the past. What do you think of the results? How are you handling the five sources of innovation strength currently? How do they fit in your future plans?